Play is underway at the Liebherr 2017 ITTF-Men’s World Cup in Liège, Belgium but the top eight seeded players don’t take to the tables until Saturday 21st October so the ITTF quickly caught up with the second seed Dimitrij Ovtcharov to hear his thoughts ahead of his outing. 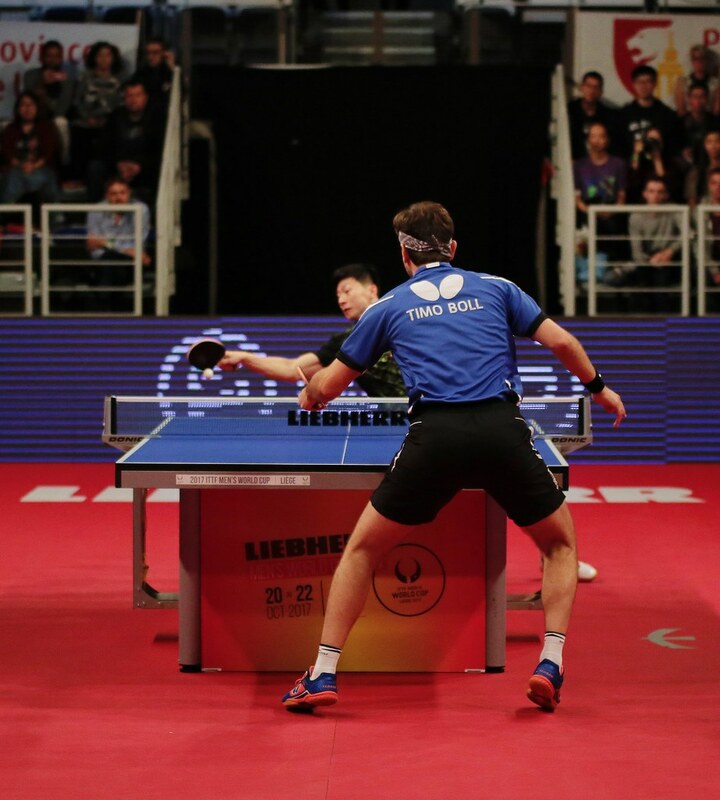 Germany’s Dimitrij Ovtcharov has enjoyed a relatively successful year to date with gold medal performances at the Seamaster ITTF World Tour events held in India, China and Bulgaria and a title winning campaign at the 2017 ITTF-Europe Top 10 Cup in Antibes, France. Now the World no.4 has made the trip to Liège for the Men’s World Cup and is hoping for another strong display against some of the world’s finest table tennis stars. “I have managed to win three World Tour titles and the European Cup. I had a hard defeat against Koki Niwa at the Worlds in the last 16, but still an amazing year so far and now we’re at the World Cup and we will see what happens”, Dimitrij Ovtcharov. The last Men’s World Cup to be hosted in Belgium took place in 2013 in the city of Verviers where Dimitrij Ovtcharov impresses with a bronze medal finish. Reflecting on that outing 29-year-old Dimitrij Ovtcharov believes that he could have achieved an even higher finish at the event in 2013 and is aiming to be a title contender this time out in Liège. “… In the last World Cup in Belgium I was in the semi-finals and I had a good chance to knockout Xu Xin and maybe even take the title so I will take this confidence and those memories into this event and I hope that I can maybe make the final”, Dimitrij Ovtcharov.